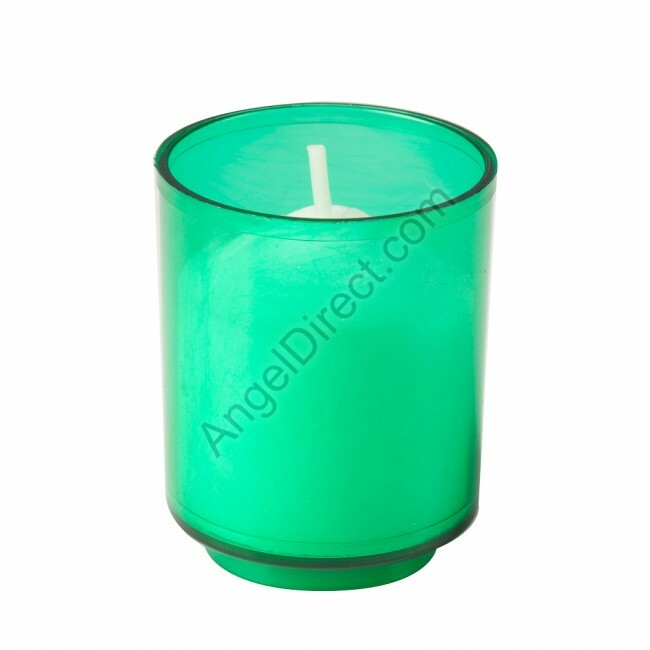 Dadant Candle green, plastic, 10-hour disposable votive candle for prayer intentions and intercessions is economical, easy to store and convenient to use. Molded candle and paraffin wax ensure a clean, trouble-free burn. Plastic shell is safety-tested to withstand prolonged heat. Case of 200 candles.